"Bonnetheads don't migrate very far, so the fact that they are found here indicates that the seas are good for them, with water clarity being a factor they favour," said Nadia Bood, reef scientist, WWF-Belize Field Programme. 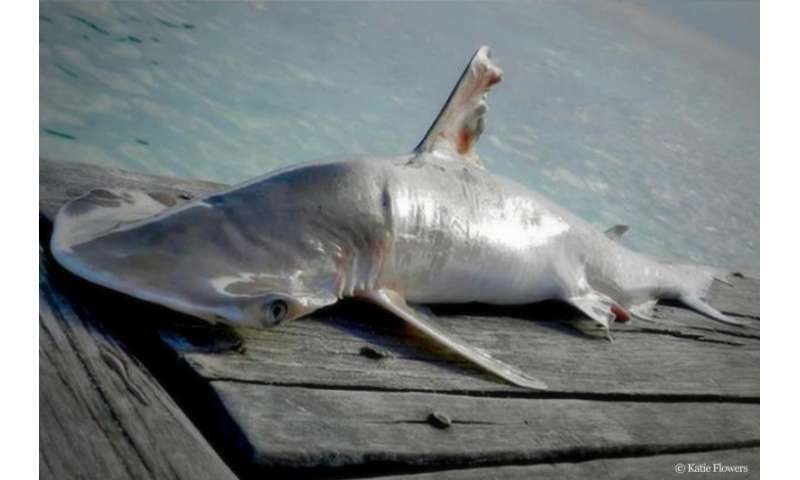 "Discovering a new species of shark is another example that Belize Barrier Reef offers perfect conditions for some of the world's most diverse marine ecosystems. This is exactly why WWF believes it is vital we do all we can to preserve this valuable part of our common natural heritage." The Belize Coalition to Save Our Natural Heritage, which WWF is a part of, works to protect the Belize Barrier Reef site from threats such as coastal construction, offshore oil exploration and drilling in country. In October 2016, following advocacy efforts by the coalition and a global public outcry, the Belize government suspended permissions for seismic surveys which would have allowed exploration for oil within a 1 km radius from the Belize Barrier Reef, a UNESCO World Heritage site. While an encouraging move, stronger legislation for a complete oil ban is needed to ensure long-term protection and enable the site to be taken off the World Heritage 'in danger' list. "More than 265,000 people have asked the prime minister of Belize to secure long-term protection of the World Heritage site. We call all people who want to see this unique home for diverse marine species saved from harmful activities to join this action today and take the advocacy action to the Prime Minister at panda.org/belize", added Nadia Bood. Belize's waters are a haven for 1,400 kinds of plants and animals, including rare marine turtles, rays, sharks and dolphins. More than half of the country's population, around 190,000 people, are supported by incomes generated through tourism and fisheries directly dependent on the reef.